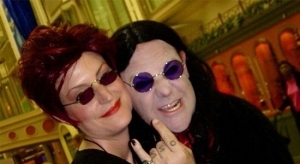 The Ozzfest tour has been hit with tragedy after two fans were killed during Thursday night’s (Aug. 16, 2007) show in New Jersey. According to reports, both deaths were alcohol and drug-related. 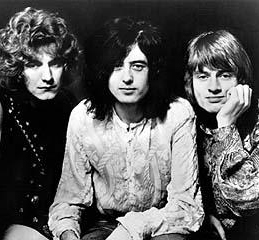 Friends of the men said that they had taken cocaine, marijuana and alcohol before and during the show. While deaths are not unheard of at large rock festivals, they are unusual at outdoor spaces like the PNC Bank Arts Center, which opened in 1968 as the Garden State Arts Center and has a capacity of 17,500. A spokesman for the Turnpike Authority said that the two deaths on Thursday, when attendance was just over 13,000, were believed to be the center’s first. 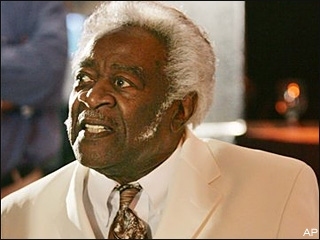 Bill Pinkney, the last original member of The Drifters, died on Wednesday, July 4th. He was 81. He was discovered dead at the Hilton Daytona Beach Oceanfront Resort where he had been scheduled to perform there at a Fourth of July festival. The Copyright Royalty Board (CRB) recently denied webcasters’ requests for a rehearing on its ruling of unfairly high new royalty rates — a stunning 300 to 1200 percent increase — for Internet radio for period 2006-2010. Internet radio is singled out from all other radio, burdened with fees not paid by AM or FM stations, and at rates at least 3-4 times paid by satellite and cable radio. The ruling even included absurd minimum of $500 per station per year to penalize the smallest webcasters with the highest rates. Should this ruling stand, many of your favorite stations will be silenced. You will find Live365’s 260 genres reduced to the same meager, homogenized list carried on AM/FM radio, because the unfair rates would drive webcasters in niche genres with unique content unavailable elsewhere out of business. You can, however, help protect your favorite tunes of your favorite DJs from being silenced. has been introduced in Congress by Representative Jay Inslee (D-WA). A simple phone call to your Representative to ask for their support on this Bill will go a long way toward ensuring your right to diversity and choice in radio. Better yet, please also write and fax to show how serious you are. They need to know how much your music means to you. Click here for the number of your Rrepresentative ! Help Save Internet Radio ! Page McConnell the keyboardist for Phish has linked with Legacy Recordings for the April 17 release of his self-titled solo debut. The nine -track set sports contributions from ex-bandmates Trey Anastasio and Mike Gordon as well as veteran session drummer Jim Keltner. I cant wait to check this one out ! 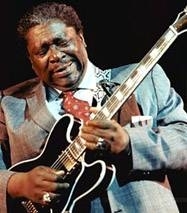 Legendary Blues artist B.B. King was hospitalized Thursday for flu-like symptoms and had to cancel two shows in the Texas area but is feeling better today, joking and ready to get back to work. I have always been a big fan of his and hope he gets well and he and Lucille get back on the road soon. 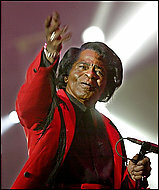 James Brown passed away Christmas day of heart failure 2 days after being admitted to the hospital for pneumonia. He also had diabetes and prostrate cancer which was in remission. He was 73 years old. Without his trend setting music there would not have been any R & B, disco, rap, as well as many other genres of music that have been influenced by his works. He will be sorely missed. RIP James Brown. Troy Gentry charged for improper killing of bear ! Troy Gentry of the popular country band Montgomery Gentry was charged for improper tagging of a bear he recently killed. It seems he purchased this bear named “Cubby” back in 2004 to be hunted with a bow and arrow on a 3 acre private enclosure complete with electric fences. 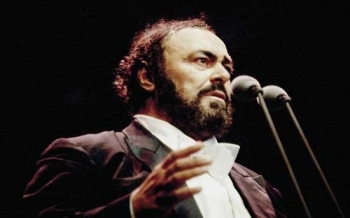 The guilty plea enabled the singer to avoid a trial, due to start this week. He told the court he bought the bear from his local hunting guide, Lee Marvin Greenly. The pair agreed to report the animal was killed in the wild six miles east of Sandstone, Minnesota, instead of inside an electric-fenced, three-acre enclosure on Mr Greenly’s property south of the town. Gentry’s attorney said he had pleaded guilty “to a simple charge having to do with improper tagging”. “I did participate in improperly tagging the animal I shot, without realising the seriousness of what I was doing,” said the singer in a statement posted on his official website. Altho I dont agree with this type of hunting, it is not much different than the legal way of using dogs brainwashed to track and hunt bears with radio tracking collars where the so called hunters just walk up and shoot them. Either way doesn’t seem fair or much sport to me. I think you should have to do it the old fashioned way, go out and find it yourself, track it yourself and kill it yourself with no dogs or electric fences.Just my two cents after reading this recent article. 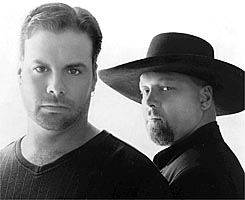 I like Montgomery Gentry’s music and will continue to be a fan.